Dystopia by Matt Duggan. Worthy winner of the erbacce-prize. Quite exciting to be in literary magazine The Tower Journal alongside Allison Joseph with my poem “Riddle me this”. Editor Mary Ann Sullivan does indeed a fine work of art. Here´s some biographical details of both Mary Ann Sullivan and Allison Joseph. Mary Ann Sullivan is the author of the middle grade book, Child of War (Holiday House, 1984), which was named a Notable Book in Social Studies by the National Council of Social Studies and Children’s Book Council; a collection of poems, Hermit Day, and numerous digital poems such as “St. Damien of Molokai” and “Shaking the Spiders Out.”An e-collection of poems she wrote when she was a cloistered nun, Mending My Black Sweater (Eratio, 2008) can be found at eratio. A former cloistered nun, Mary today teaches undergrads writing at St. Joseph School of Nursing and Great Bay Community College. She also teaches Fundamentals of Fiction and Fiction Thesis courses for the MA in Creative Writing Program at Southern New Hampshire University.She has a Master of Fine Arts degree from Norwich University and a Doctor of Arts degreefrom Franklin Pierce University. Her work has appeared at BBC Arts Online, BlazeVox, French Literary Review, Jacket,Mezzo Cammin, National Catholic Register, Poetry Library, Synchronized Chaos and beyond. She has lectured at the New England Conservatory and American Association of University Professors Conference, and is founding editor of Tower Journal, an international online literary journal. Allison Joseph is the author of six collections of poetry, includingImitation of Life and My Father’s Kites. 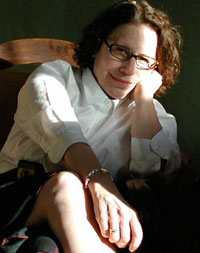 She is also well known as an editor of the Crab Orchard Review, which she has edited with her husband Jon Tribble since 1995. Through the Crab Orchard Series in Poetry, she and Tribble nurture to publication two outstanding volumes of poetry each year. Since its unveiling in 1937 at the Paris World’s Fair, the Aalto vase has been an international sensation. Its mysterious shape has been the subject of much speculation; some say it is based on Aalto’s sketches entitled, “The Eskimo Woman’s Leather Breeches.” Others speculate that the fluid shape might be inspired by the lines of the Finnish landscape. Regardless of its questionable origins, one thing remains indisputable: its serene beauty. But I also can´t help remembering Rubén Darío´s famous Sonatina, verse six, everytime I see a lonely forgotten flower fainting in a vase. So this scene provokes a complex of emotions. And as Ezra Pound asserts referring to the image in poetry, it is “that which presents an intellectual and emotional complex in an instant of time”. Here you have the first stanza in Spanish, I haven´t included a translation since the English ones so far do not do it justice. “This untranslatable Portuguese term refers to the melancholic longing or yearning. A recurring theme in Portuguese and Brazilian literature, saudade evokes a sense of loneliness and incompleteness. Here´s a stirring poem titled “Saudade”that embodies that sense completely. A hundred years ago Ezra Pound was busy creating modern poetry in London. He helped Yeats to write more directly and more symbolically, then set about “breaking the pentameter” by following T E Hulme and others to create imagism and, a bit later, vorticism. He recognised the originality of Eliot, Joyce and Lawrence and published the first two, worked with William Carlos Williams (a friend from university) and as Foreign Editor of Poetry (Chicago), permanently influenced the writing of Marianne Moore, E E Cummings and Wallace Stevens. In less than ten years, poetry had changed unrecognisably through the work of a small group of very different people who saw the need for change. I’m wondering whether poetry is due for another radical change, perhaps starting in cities like London again. It’s fascinating how English poetry changes by conforming to or reacting against the dominant language mode – printed prose – often under the influence of ideas from France. The growth of regular newspapers and journals in the late 17th century, written in correct ‘classical’ style, led to a century of tightly metric, tightly rhymed verse dominated by the heroic couplet, a ‘classical’ import from France. Eventually Wordworth and Coleridge led a reaction against this, complexly inspired by the French Revolution, but the formality of Victorian prose squeezed the life out most of the century’s English poetry – French symbolism didn’t take hold here and two of the three great radical poets (Hopkins and Emily Dickinson; the third is Whitman) were unpublished in their lifetimes. The modernist poets of 1914 were responding among other things to the flood of cheap newspapers, the jingoistic ‘yellow press’, which the great Austrian satirist Karl Kraus saw as dangerously simplifying the way people saw the world and therefore could feel about it. Popular poets like Kipling, Newbolt and Masefield were boisterously simplistic. Pound and Eliot took several French ideas – Baudelaire’s flâneur poems, symbolism, Laforgue’s adaptations of Whitman – created imagism (originally called imagisme to make it sound French) as a short-term expedient and by 1922 had created modern poetry. Today we have iPads and smartphones which quite a lot of writers believe are changing the way we think, both simplifying and complicating the way we see the world so that people’s ability to concentrate is impaired. Will this affect poetry? I think it already has, and for the better. The rise of interconnected electronic media since the mid 90s has paralleled a rise in reading and writing poetry – a huge increase over the same period of poetry magazines, websites, pamphlets, books, courses, degrees and competitions. I think this is because reading and writing poetry is something we can’t do quickly or interruptedly.